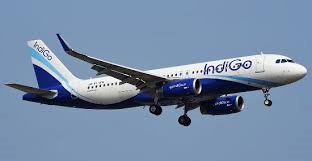 Indigo airline passengers reported a nationwide failure in airline's system at multiple Indian airports for about 90 minutes. According to the news agency ANI, the airline systems at Delhi's Indira Gandhi International Airport were down due to some technical error. Meanwhile, the passengers were stranded at the airport and were not given appropriate information and help from the airline staffs. "Indigo airlines server is down since last 45 minutes at Delhi airport. No contingency plans. People are waiting in the queue," a passenger tweeted. The company has release an apology, "we regret the inconvenience caused to our passengers this afternoon due to system being down across airports for around ninety minutes. Our flights and check-in systems are operating normally now".